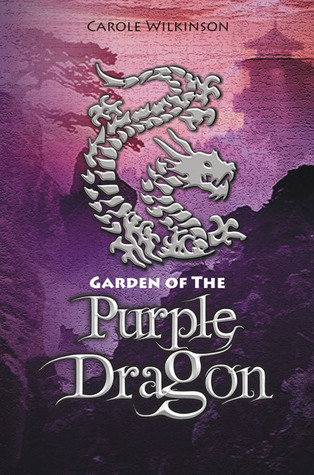 I read this book about five years ago, and the cover was purple. The book was about two inches thick, and I remember it had a young girl as the main character. She had a dragon, which at some point she disguised as a soup ladle. I remember a character called the necromancer, and I think the girl's name was Ping or something similar. It was definitely set in the past in China or some other part of Asia. I remember a fire burning down a building, and something to do with mountains in the beginning. Definitely a fantasy story with the baby shapeshifting dragon, but don't know much else. Ping learns that Kai can shape-change and turns into firstly a soup ladle. Which seems to match pretty well. None of the covers listed on ISFDB match, but I found this one with a google image search. Dragonkeeper (2007) by Carole Wilkinson maybe? A slave girl Ping escapes from the palace of Huangling with the dragon Danzi, carrying the dragonstone towards Ocean. They encounter both Diao and The Necromancer on the journey, but overcome these evil men, and also meet The Emperor. You can read the first eight pages or so on the author's website, here. Found with the Google query book dragon necromancer ping.